Whilst I believe wholeheartedly that the work recommends the craftsman, I do understand that sometimes people may require additional verification. As such, references are available upon request. Jim is a Digital Forensic Analyst, instructor, professor, public speaker, best selling author, Master Mason, Combat Wrestling / са́мбо / Система practitioner / instructor, and autistic adult. Professional biography. Masonic biography. 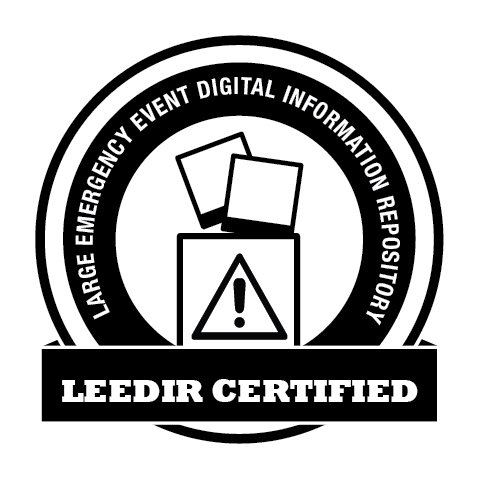 Large Emergency Event Digital Information Repository (LEEDIR) Certified. edX - Course Creator (edX 101, edX Blended Learning, edX VideoX, edX Studio X). Declaration as to image authentication work performed, authentication of digital images. Declaration as to review of opposing expert’s work in facial imaging. Click here to download my testimony list. Whilst the above represents those cases that have gone to trial, I have provided analysis and assistance in well over five thousand cases since 2001. From general processing and conversions, clarification / enhancement, to photogrammetry, to authentication, chances are your request is not unique. Please feel free to ask me about your case. Best Practices for the Retrieval of Video Evidence from Digital CCTV Systems (DCCTV Guide). 2006 (co-author). CTTSO. Click here for video from an LA District Attorney's Saturday Seminar (2008) on using CCTV evidence in court. I start about 25 minutes into the session. Click here to watch Nazi Scrapbooks from Hell (National Geographic Channel). My scene begins about the 42 minute mark. Click here to watch Monster Quest: Terror from the Sky (History Channel). My scene begins about the 24 minute mark. Reflections on the Circumpunct - from the metaphysical to the practical. Oasis Lodge #854. May, 2018. The Deil’s Awa wi’ Rabbie Burns. How a Parcel of Rogues have given us the wrong version of such an important historical figure ... and what we can do to fix it. Royal Order of Scotland. August, 2018. Request a copy of the paper or presentation featured here. Click here to schedule a lecture at your Masonic function. Read about Jim's work in the Summer 2007 edition of the IBEW Journal. Read the interview with Jim on the Photopreneur.com blog by clicking here. See Jim's book, Forensic Photoshop, featured on Photoshopsupport.com. Click here to see Jim's Forensic Photoshop Tutorial space on Photoshopsupport.com. See the feature on Forensic Photoshop in the Los Angeles City Employees Club Newspaper by clicking here. He was featured again here. Click here to see the about his unit - LAPD's Scientific Investigation Divison, Electronics Unit. Here's an interview on StinkyJournalism.org called Catching Criminals with Photoshop? Read an interview with Jim on the Revealed Blog. "Creative Suite 5 solutions for Public Safety, Law Enforcement and Criminal Justice". Read Jim's review of ClearID 2 from Ocean Systems at Evidence Magazine. Jim's quoted in the PictoScript March 2008 Newsletter. Digital Anarchy reviews the Forensic Photoshop blog. For a laugh, read my grievance angainst the LAPD. (Result: the IBEW exercised it's right to end my dispute. They admitted that I was right, and so did the City's Chief Negotiator, but the IBEW chose to sacrifice my claim in trade for wage concessions from the City during the last contract renewal. In the end, the IBEW chose to abandon my claim and there wasn't anything I could do about it. ).